“We can't do this. You can’t do that.” As young people, we are so often told what we cannot do that when someone finally says, “Hey you can do this. I believe in you,” it can come as a shock. Often we don't know what we are capable of. And sometimes it just takes a push from the right person. Stephanie, a program participant at GreenRoots in Chelsea, Mass., talks about at a time when she was pushed. Public speaking. A common experience for many young organizers, but a nerve wracking one. This is usually far out of many comfort zones, but is a real confidence booster. Meeting with public officials. When a young person realizes that sharing their experiences and insight can influence policy change, it’s powerful. Traveling. Whether it’s heading to the state capitol, attending a conference, or hiking up a mountain, travel widens our understanding of the world. 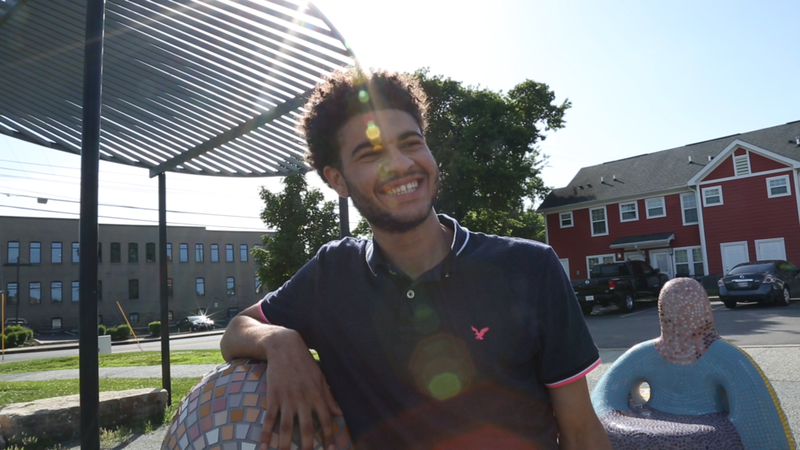 Derek, Oasis Center: Mayor’s Youth Council member in Nashville, Tenn., shares about his mentor’s encouragement and exposure to new experiences. — Sharlen, Co-Founder Urban Underground in Milwaukee, Wisc. Exposing young people to opportunities is a part of leadership development. But exposure can also be really uncomfortable. It’s in those moments of discomfort when we truly emerge as effective leaders. Then we are unstoppable.